^ 歷史學家撰寫——華籍英兵血淚史. 星島日報. 2018-09-18 [2019-04-21]. ^ 4.0 4.1 海防博物館展示香港軍事服務團歷史. 香港政府新聞公報. 2013-12-12. ^ 華籍英軍：我們才是香港抗日的主力. 中時電子報. 2016-03-04 [2019-04-22]. ^ 出走香港　可投考英國空軍？　應徵資格：持BNO及…. 香港01. 2018-06-18. ^ 香港保衛戰75週年末代香港義勇軍：守護香港自己的歷史. 明周文化. 2016-12-20 [2019-04-22]. ^ Lt Donald William Wagstaff H.K.R.N.V.R. 2nd MTB Flotilla, Coastal Forces Hong Kong. www.hongkongescape.org. [2019-04-21]. ^ 警訊檔案之警察部門今昔──反走私特遣隊. 香港電台. 2013-11-08 [2019-04-21]. ^ 中國密檔揭沙頭角槍戰從未曝光細節　民兵放火被擊斃. 香港01. 2017-05-17. ^ 軍車誤駛入華界　扣留十八小時放還. 《華僑日報》. 1971-05-20: 第二張第一頁 [2010-12-08]. （原始内容存档于2011-12-28）. ^ 90年初中國公安屢越邊界 曾於港水域用槍指嚇港警. 蘋果日報. 2018-12-28. ^ 18.0 18.1 孔雀級巡邏艇. 中國軍艦博物館. [2019-03-20]. Alderson, G.L.D. History of Royal Air Force Kai Tak. Hong Kong: Royal Air Force Kai Tak, 1972. Bruce, Philip. Second to None. Hong Kong: Oxford University Press, 1991. Gregorian, Raffi. The British Army, the Gurkhas and Cold War strategy in the Far East, 1947-1954. New York : Palgrave, 2002. Ko, Tim-keung, et al. ed. Serving Hong Kong: The Hong Kong Volunteers. Hong Kong: Hong Kong Museum of Coastal Defence, 2004. Melson, P.J. 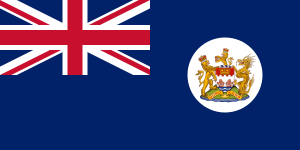 White Ensign Red Dragon: The History of the Royal Navy in Hong Kong 1841-1997. Hong Kong: Edinburgh Financial Publishing, 1997. Oxley, D.H. Victoria Barracks, 1842-1979. Hong Kong: British Forces Hong Kong, 1979. Richardson, Sam S. The Royal Marines and Hong Kong, 1840-1997. Portsmouth: Royal Marines Historical Society, 1997. Rollo, Denis. The Guns & Gunners of Hong Kong. Hong Kong: The Gunners' Roll of Hong Kong, 1991.